Item # 305117 Stash Points: 3,495 (?) This is the number of points you get in The Zumiez Stash for purchasing this item. Stash points are redeemable for exclusive rewards only available to Zumiez Stash members. To redeem your points check out the rewards catalog on thestash.zumiez.com. 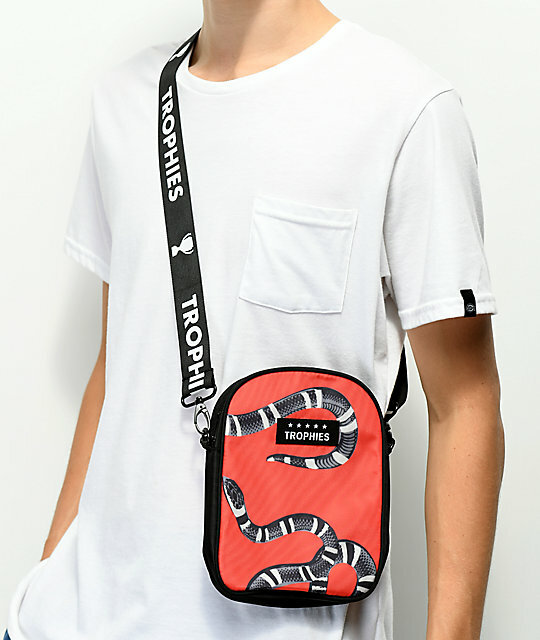 The perfect, quick, go-to carrying essential, the Snakes sling bag from Trophies has you covered. 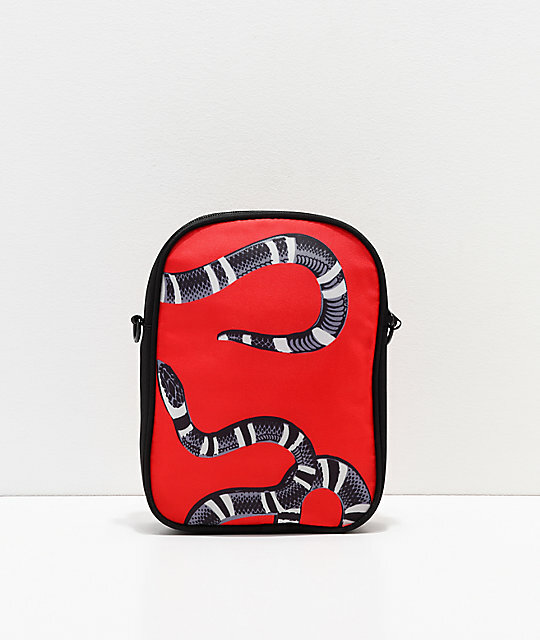 The red exterior features snakes woven allover while the simple and easy to access compartment is lined with red satin and has an added internal zipper pocket for your more important items. Complete with removable and adjustable shoulder strap, this mini bag can be worn over the shoulder or across your body. 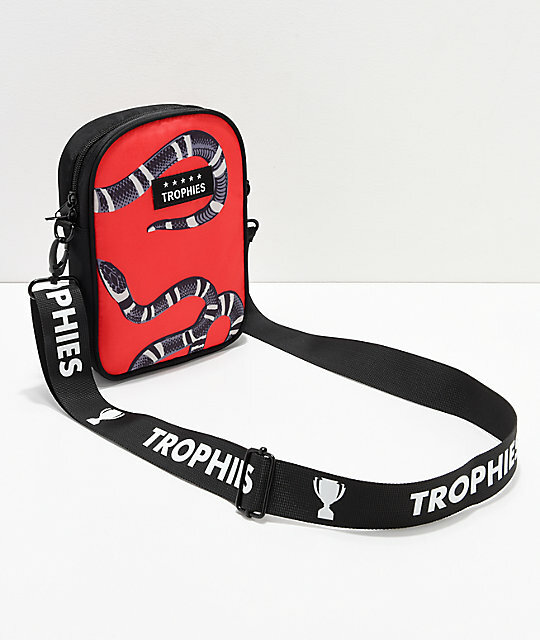 Snakes Shoulder Bag from Trophies. Red colorway w/snakes woven throughout exterior. 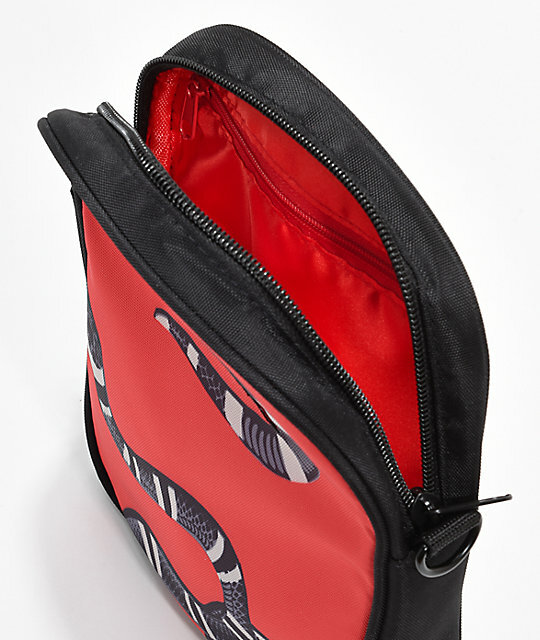 Dual zipper pocket w/ internal zip pocket. Removable and adjustable webbing strap with metal clips. Woven brand tag at front. 8.5" H x 6.25" W x 1.75" D | 21.5cm x 16cm x 4.25cm.